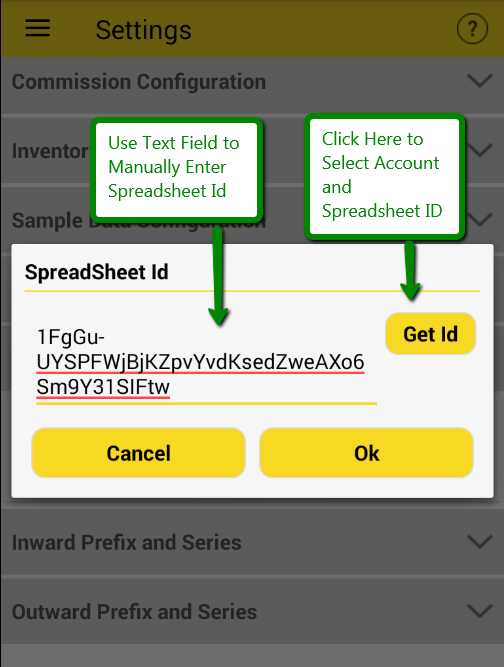 >> Click on Get Id Button to Select Account where product Spreadsheet is saved. Note: While user type spreadsheet Id manually, that time Google Account of that particular Spreadsheet should be Selected/Login with application. Then only it will work otherwise product will not import. 2. 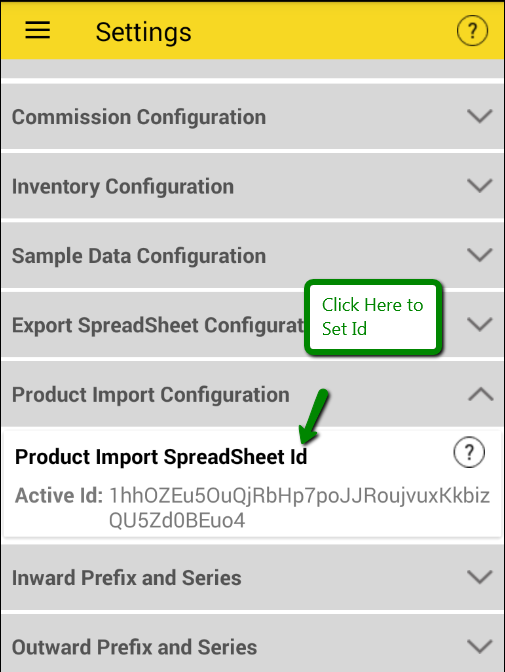 Once Spreadsheet Id is Set then Products of spreadsheet will be automatically imported from drive. >> Select Spreadsheet and click on select. 3.Now product will be imported from drive successfully. 4. Also user can share product CSV with other sales executive or team member or customer on their mail Id.